As you all know, I lost the love of my life to Pancreatic Cancer who fought for two and half years with dignity. The one who I thought I would grow old with, spoil our future grand-children together with, and go on vacations with when we both retire. But that all changed when the cancer took him away from me and from my kids too early. Our grandchildren will never meet the wonderful man he is, who would have spoiled them and who they would have been honored to call Grandpa. Going on trips without him by my side will not be the same, there will be forever a hole in my heart. I will fight this cancer in honor of Dante. This will be our 3rd year that my kids and I are joining Wage of Hope PurpleStride, the walk to end Pancreatic Cancer, on September 29, 2019 in San Diego. We are dedicating this walk to Dante and to all those fighting this deadly cancer or who have lost the battle. Please join my team or start a new team in honor of those whose fighting or will be fighting. My personal goal is to raise as much as I can to find cure. I am asking for your support. 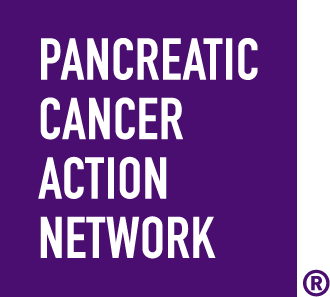 Because pancreatic cancer patients deserve better treatments and outcomes . Your tax-deductible contribution will help science research find a way to end this cancer, help patients and family who are dealing with this cancer, and help train volunteers. By making a donation, you are supporting efforts to double survival for this deadly disease by 2020. The American Cancer Society estimates that more than 55,440 people will be diagnosed with pancreatic cancer in 2018, and that over 44,330 people will die from it. I urge you to stand up to fight to find a cure. Let's not let cancer win. Thank you for supporting to end cancer.